The Mercedes-Benz E-Class and BMW 5 Series have long been rivals in the executive car market, but which should you choose if you want to save money? Using the Fuel Cost Calculator, HonestJohn.co.uk compared two of the most efficient models in their respective ranges, the Mercedes-Benz in E300 Bluetec Hybrid SE trim and the BMW 525d Luxury, and the calculator shows that it is the E-Class that saves you money. Despite being £95 more expensive, the E300 will return a yearly saving of £338 when compared to the BMW, with the breakeven point being just 2808 miles. Costing £1243.71 to run per year compared to the Mercedes-Benz’s £905.49 the BMW driver would be paying more for their road tax as well as annual VED. 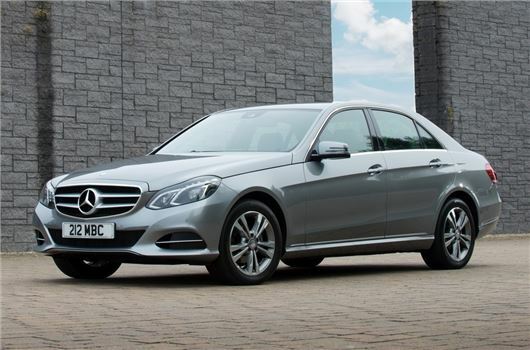 And when you take into account the real world economy, the E-Class proves even better value, with Real MPG showing that the E300 driver will save £415 per year, compared to the 525d. The HonestJohn.co.uk Fuel Calculator is a simple money saving tool that lets car buyers compare different cars find the lowest fuel cost. It’s a brand new aspect of HonestJohn.co.uk and features every make, model and trim of car on the UK market. The tool also factors in the latest fuel prices, to ensure each comparison is as accurate as possible. Your calculations do not use real world mpg figures. Whilst it is understandable to try to use official figures as a comparison, whilst diesel vehicles can sometimes approach the official figures, it is very rare for a petrol model to do so. Plus you have ignored the higher residual values of diesel cars. Diesel cars are not cheap to run especially if you happen to go to central London where the congestion charge has now put on a new levy for the Diesel cars which were previously treated with preferance. So it will cost you much more to enter London in a Diesel car. why not compare it to a 520d SE? surely that would make more sense... if you're trying to compare like for like?